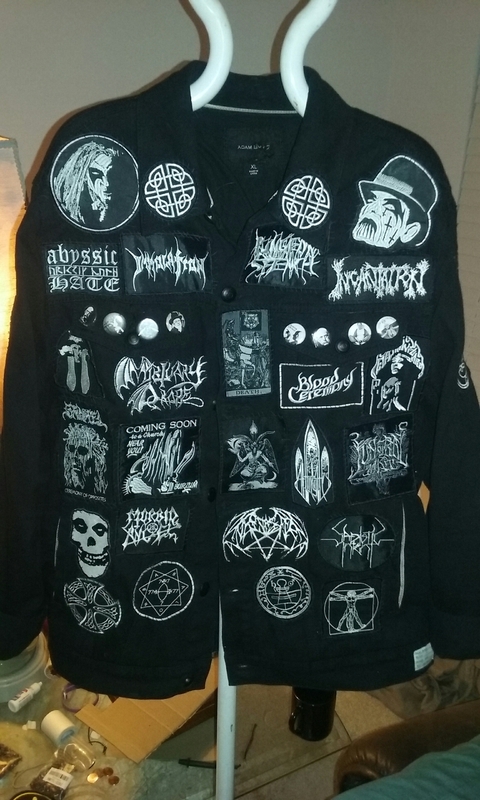 This entry was posted in Uncategorized and tagged Aleister Crowley, arts and crafts, battle jacket, black metal, celtic, Death Metal, heavy metal, kutte, mental illness, misfits, mortuary drape, sewing, thelema. Bookmark the permalink. That is awesome Thom! Do you find creating a good distraction? Very much so. I need something to fix and maintain, keeps me on an even keel.